I am delighted to be hosting A.R. 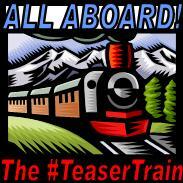 Silverberry on my blog for #TeaserTrain. 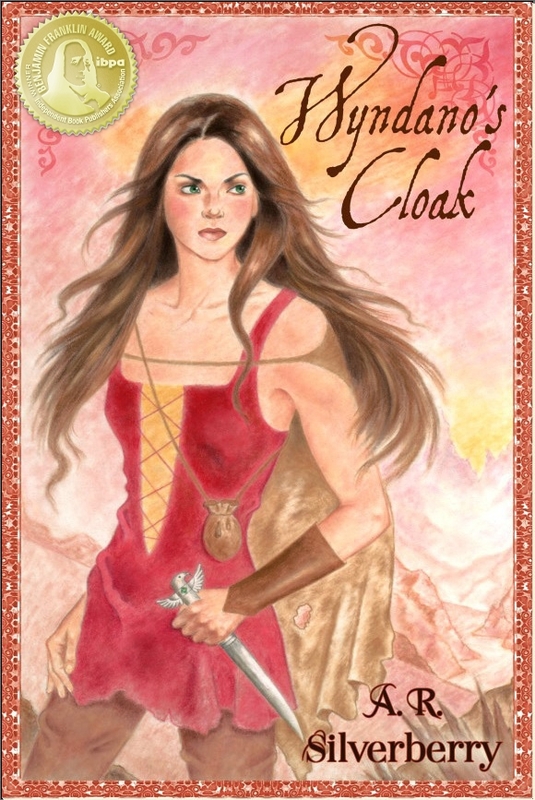 His novel “Wyndano’s Cloak” is the sort of enchanting fantasy story I loved to read as a preteen. It is recommended for young readers ages 10 and up. I have purchased this book and am looking forward to sharing it with my kids. It is the kind of story that is just as much fun for me to read as it is for my children to listen to. Please enjoy this excerpt and consider sharing this adventure with your young readers. Alert, Jen backed away from the tree and studied it at a crouch. The air was still. The grass motionless. But the leaves stirred and fluttered. Words floated down. At first they were indistinct, as if someone called through a distant snowstorm. One word emerged clearly, and an icy finger traced down her spine. She backed away until she squatted on some rocks that extended into the pool. Every muscle—sun-hammered and wind-hardened like metal in a forge—was poised to spring. Phrases whispered down. The only sense she could make was that something was coming. Something dangerous. She thought of her family. Fear tightened around her heart. She was a hair’s-breadth away from running to them. Her feet stayed rooted to the spot. Maybe she’d hear more. A small splash made her look at the pond. Two more followed, as if someone had thrown pebbles. Nothing had fallen into the water. But ripples spread out and ran into each other. More splashes erupted like tiny volcanoes, until the whole pool was agitated with colliding rings. A circle of calm emerged below Jen’s feet, pushing the waves back. Pale and ghostly, a face rose from the muddy bottom of the pool until it floated just below the surface. Little hills and valleys lined the features of an old woman, as if olives lay under the skin. “Medlara.” Jen spoke under her breath, unwilling to believe her friend could hear her. Streaks of blue snaked and flowered in the water, as if someone had dropped in dye. Tendrils of mist rose from the surface and licked the ring of rocks. Soon the whole pool was covered. Spilling over the edge, the cloudy vapor surrounded Jen. She backed onto the shore, but the stuff sprouted up on all sides, walling her in, and formed a ceiling above. It crept along the ground until it met her feet. There it paused like an undulating sea. There was no time to wonder. Fog rose before her like a giant shadow. Black. Forbidding . . .
She stepped back. Looked behind for an escape route. The fog surged forward and pulled her into the inky darkness. She could no longer feel the ground, as if everything solid and beautiful that she cared about was being ripped away. She tried to scream but terror rose from the pit of her stomach and froze in her throat. The rest was a dizzy kaleidoscope of tilting and falling, of wandering lost, with no way out, no way home, no way back to a world of light and love, until the mist melted away and she collapsed, shaking in a pool of sweat. 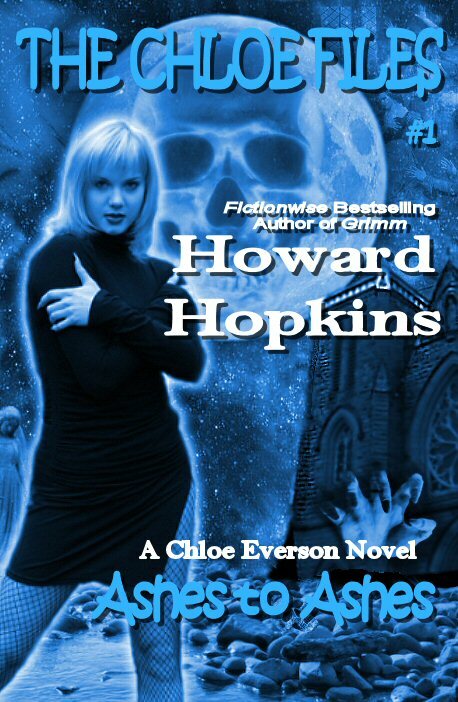 My name is Chloe Everson. I’m blonde, 5’6” and, um, thirty-something. Oh, and please don’t judge me, but I’m also a stripper at the Red Lagoon, at least I was until a few weeks ago before…well, that’s a story I can get into later. Most of the other girls call them­selves exotic dancers, like it makes taking off your clothes in front of a bunch of drunken idiots classier somehow. But I am a stripper. There’s an art to it, like those burlesque girls in the old days. I never had a lot of control over what happened in my life. In fact, most of the time I just felt like everything was sweeping me along in a rush of black water. But stripping gives me some sense of control. I know exactly what I am doing and what I can make my audience do. Anyone who gets out of line, well, Arly takes care of them. And I know what you’re thinking: I’m one of “those” girls. Well, I’m not. It goes no farther than the dancing and never has. I have never crossed that line and I wouldn’t. I just spend a lot of time naked and I don’t mind that. Guys don’t seem to mind, either, but it’s strictly look, don’t touch. I hope what I’ve told you won’t make you think less of me. I ended up on my own early, and had to survive somehow. I had no real skills other than dancing and I made enough money to give me some sense of power over the things in my life I might not have had otherwise. I’ve been through a lot over the past few months, especially back around Christmas when that whole Sisters of the Snake thing was go­ing on. You can read about that in GRIMM. It’s now a matter of re­cord since Arly decided to hire that author to report the things we’ve seen and experienced. I mean, who would believe it if we didn’t make sure the public was able to read about it? Arly didn’t even believe in the supernatural before Angelique Ficatier and her witches came into our lives. Me, I just write things down in my journal. I’m doing that now, sit­ting here in my condo, with the boxes I’ve packed piled all around me (I had plans, you know, ones that now…) I was hoping maybe someday I would be able to show it to my children, let them see what a fire­cracker their mother was in her day. Sounds silly, doesn’t it? Like one of those old movies I like to watch. The kind where the heroes always win and the guy gets the girl and everything turns out happily ever af­ter. Well, anyway, I guess that’s enough about me for now, because what’s more important is that I am worried. Sorry, no, I’m not just worried. I’m scared out of my wits. Because after what happened with the Sisters of the Snake I know there are things in this world that crawl out of the darkness and into our lives. Terrible things. Inhuman things. And I’m afraid something like that has happened again. To Arly. He disappeared about a week ago. I’ve been looking everywhere, trying everything I could think of. But I’m not the detective. Arly is. He’s the one who knows how to find people. I talked to his friend, Detective Sturdevant, about it and he’s helping but hasn’t come up with any leads yet. I can tell he’s worried too, because before Angelique Ficatier he didn’t believe in any of that ghost and demon stuff, either. I think he does now, but he’s afraid to admit it. I can’t say I blame him. Oh, dammit, it’s starting to rain. I can see the water streaking down the slider doors that lead to the patio. I hate rain. It just makes every­thing more depressing right now. Makes me more afraid and more lonely and I feel like I’m just going to come apart if I don’t do some­thing, find some clue to what happened to him. Even though it’s raining I am thinking of driving over to Arly’s cottage to look around. I’ve been there already a few times and found nothing, but just being in his house makes me feel a little bit closer to him, so maybe I’ll try again. 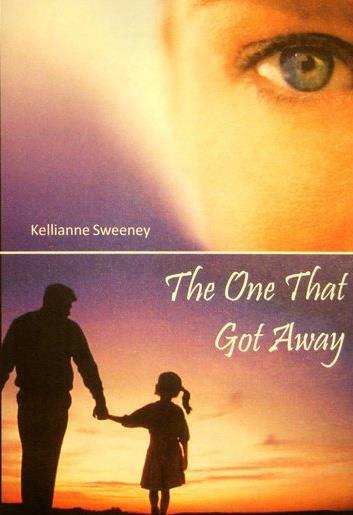 Most of you are aware that in June I published my first novel “The One That Got Away”. It is a fictional story whose premise is that reincarnation, ghosts and Heaven are all somehow connected in the big picture. The story is told through the journal of a modern day single mother who feels she has more important things to deal with than these notions that she is ultimately forced to believe. More information about this book can be found here: http://kelliannesweeney.webs.com/ . My WIP (Work In Progress) is the sequel to this story. Today, I am giving you a teaser for that sequel entitled “Strangers’ Angels”. I hope you enjoy your taste. From a corner of her mind, Anna heard a footfall and a sound like something sliding across a table. Viv was back? Clarice growled low and quietly. It wasn’t her usual cocky, protective growl. It seemed a bit fearful. Anna’s scalp prickled. The tingling sensation crept down her back and traveled to her forearms, resulting in goose-bumps. Anna lay still for several impossibly long minutes while she strained her ears for any additional sounds. There was none. If it had been Viv, or even an intruder, there would have been more noises. Anna had not heard the front door open or close. She didn’t hear any more footsteps. Had Viv come home while Anna had been sleeping? Were the stray sounds coming from the apartment upstairs? Something did not feel right to Anna. She knew she would have to go into the living room to see for herself. The cold chill ran back up her spine and tickled her scalp again as she slowly and quietly sat up in bed and carefully extracted herself from her tousled blankets. She touched her feet to the floor and waited another moment, listening intently. Nothing. She flexed her toes on the smooth, cool wood and took in a steadying breath. She exhaled and stood quickly. The floor groaned in protest. Anna paused. She thought she heard an urgent whisper, but she couldn’t tell if it was in her own mind or outside of her head. She listened again, but did not hear a thing. Even Clarice was quiet. Anna tiptoed to her bedroom door, tightening the drawstring on her cotton pajama pants as she went. She placed her hand gingerly on the doorknob and cautiously began to turn it. A sudden noise caused Anna to release the knob and jump a step backwards. A dropping sound. Something hitting the floor in the living room. Clarice yelped once and then became silent. Was Clarice out there? No. Anna became increasingly sure that it was a stranded spirit, a ghost of a person, not a living person. She became aware of the telltale whispers inside of her head. But the whispers were garbled. It was as though more than one person was speaking, or perhaps several. Anna had never encountered this before. It was also unusual for a stranded spirit to be in her apartment. She had lived in the same apartment for almost two years with nary a peep from the spirit world on the premises. Some living people had a stranded spirit that followed them because of an important link. Most people that had one were not aware of their existence, but there were some that seemed to sense their presence. If the spirits were benevolent in nature, they were sometimes referred to as Guardian Angels by their living objects of attention. During her life, Anna’s mother had one of those, but this was not the case with Anna herself. Very unusual indeed. Who was out there and why? 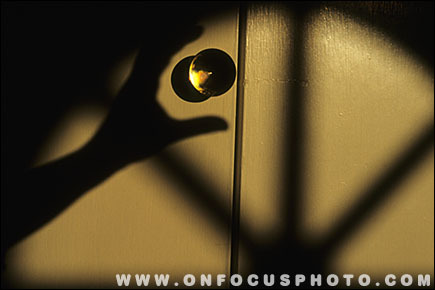 Anna gripped the doorknob firmly, twisted, and pushed the door open. The frigid air and a staggering sense of fear washed over Anna causing her to gasp involuntarily at the intensity of it. She quickly regained her composure and rubbed her arms vigorously in an unsuccessful attempt to rid herself of the cold. She scanned the room, but could see no one. Anna took two more steps into the room and inadvertently kicked something that was on the floor. The filtered moonlight glinted off of the shiny object at her feet.